The new exhibition at Dumfries Museum to mark our centenary opens tomorrow the 8th of February. The exhibition "Queen of the South - The First 100 Years" runs until the 30th of March 2019. 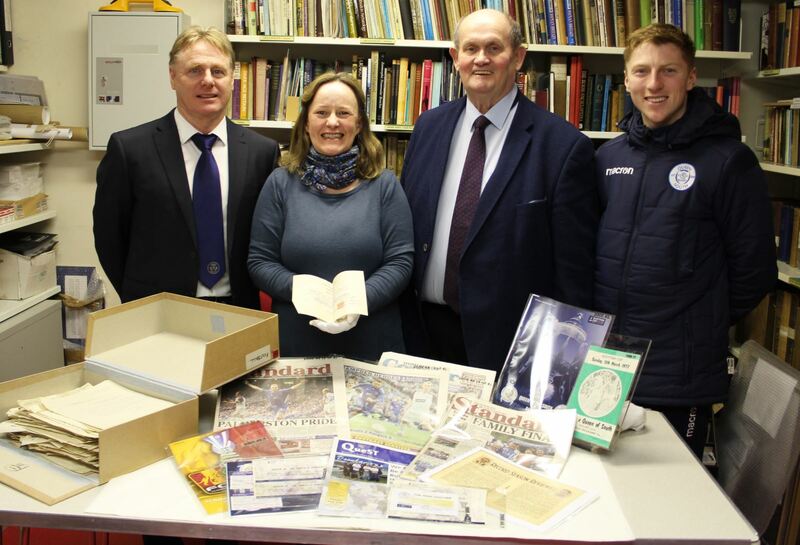 Queens fans have loaned a wide range of items for the exhibition - from photographs, signed shirts and players' boots to commemorative whisky, medals and programmes. They are added to a display of memorabilia from our own collection as well as current trophies and the Scottish Qualifying Cup on loan from the Scottish Football Association. Club historian Iain McCartney will be "in residence" at the Museum from 1400 - 1600 on Wednesday the 13th and Wednesday 20th February for anybody who would like a conducted tour of the exhibition and an opportunity to discuss the finer points of Queens' history. Groups who would like to visit the museum and speak with Iain at other times during the exhibition can arrange a suitable time by telephoning the museum on 01387 253374. The exhibition will be on display at the museum which is open Tuesday - Saturday from 10am - 1pm and then again from 2-5pm.